I won’t lie, I like my spoilers. I also kick myself when I realise that the spoilers I’ve gone out to find has overall spoiled the entirety of a story for me. It’s partly why I ignored any forum thread or any article concerning Christie Golden’s War Crimes novel recently before I had read the book. Though the outcome of the end was still spoiled, because I knew of the events to come in Warlords. It was a great book, don’t get me wrong, but I can guarantee that some of the plot twists would have been much more surprising and enjoyable had I not known what eventually happens to Garrosh. Please note, there will be spoilers in this article, especially in the final sections where I talk about Warlords of Draenor. The journey on which he gets there was good to read, and I imagine it’s why a lot of Game of Thrones book readers continue to watch the TV series (other than some parts of the TV version not being in the books) is that although they know what’s eventually going to happen a lot of the time, they still enjoy where the producers of the show take the books and present it to us as we sit on our couches and watch the epic fantasy unfold. Personally, I feel that knowing the end result kind of nullifies a lot of the twists and turns that many stories make, and looking back on the story of Mists of Pandaria I feel that this expansion was a prime example of that. We’re greeted at the start of the expansion with the pre-expansion event of the Destruction of Theramore, Garrosh’s plan to get all of the Alliance’s generals and leaders into one place and them drop a devastating mana bomb on the city, further separating the Horde and Alliance ties, especially severing any kind of diplomacy Jaina had with the Horde. Shortly afterwards, a massive continent was discovered in the mists south of the Maelstrom in the Great Sea when Horde ships were attacking Alliance ships – one of which carrying Anduin Wrynn. The first couple of months of the expansion was us, both Horde and Alliance taking part in a small task force set out to explore this new continent. Of course, with residual animosity between the two factions, we recruited the Hozen and Jinyu,clashed and caused the ancient horrors of Pandaria, the Sha, to resurface on this new continent. The rest of the first few months were to clean up after ourselves and defeat the six prime sha that the last emperor of the Pandaren Empire locked away many years ago. Once the bulk of Horde and Alliance forces made landfall a couple of months after the players had, a small chain of events followed concerning Garrosh’s attempts at creating a weapon capable of crushing the Alliance – pretty standard follow-up to what he attempted in Theramore. To this, he tried to use the Divine Bell, fabled to have increased the strength of the user’s warriors by fueling their hatred and anger while also striking fear and doubt into its enemies. 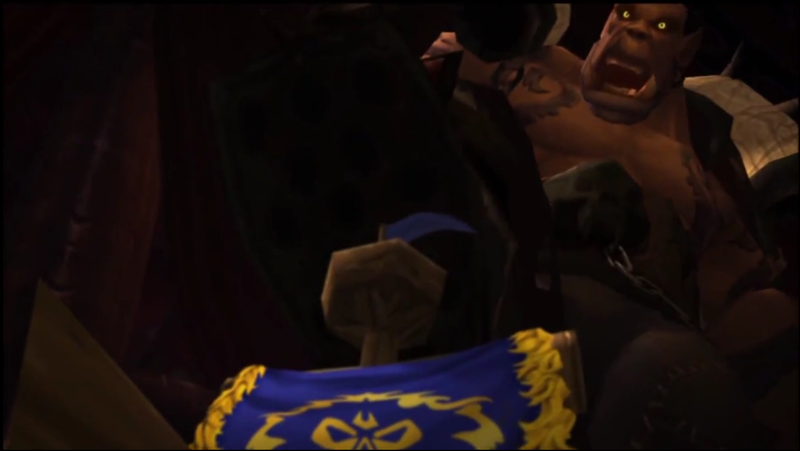 The Alliance got their hands on the Bell before Garrosh, but that didn’t stop him from sending agents into Darnassus and stealing it for his own use. Anduin Wrynn ended up stopping Garrosh in this particular path of conquest by shattering the Divine Bell with an artifact known as the Harmonic Mallet. A secondary plot started in the Jade Forest of the Mogu returning, a powerful race that had enslaved the Pandaren over 12000 years ago before being defeated. This storyline continued through most zones in Pandaria, alongside a renewed ancient alliance with the Zandalar trolls. In Kun-Lai Summit, players are sent on a wild goose chase across multiple mogu tombs and ruins, only to find that the Zandalar have resurrected the first emperor of the Mogu Empire, the Thunder King Lei Shen. After several months in the Pandaria campaign, after the sha were neutralised, this Thunder King had returned to his island stronghold known as the Isle of Thunder and had gotten to work uniting the scattered Mogu clans, enlisting the aid of his ancient Zandalari allies, and re-awakened the horrors his people had engineered in order to re-conquer and crush Pandaria (with a Zandalar secondary plan for taking on the rest of Azeroth). 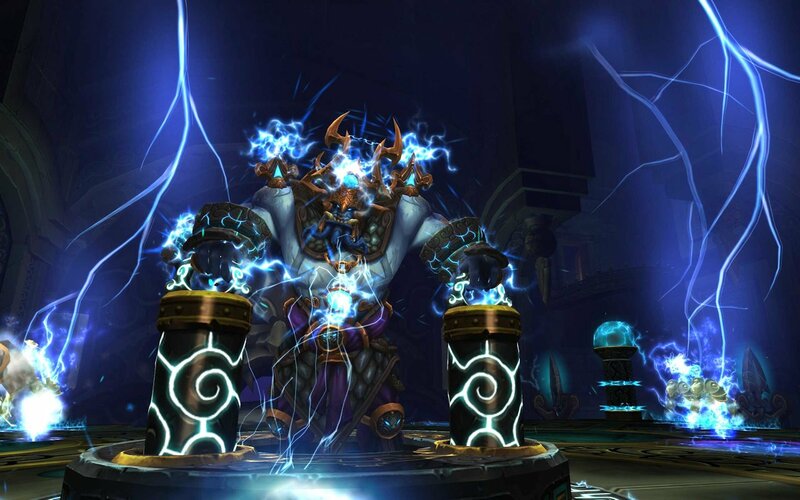 After the assault on the Throne of Thunder, both Alliance and Horde came away with artifacts and powers that strengthened both factions – the Horde made use of the anima technology and the Alliance gets to empower Jaina’s staff with the powers of the Thunder King. Now imagine that we didn’t have the leak from BlizzCon ’11 that Garrosh was the final boss of Mists. After all of this, it would have been very interesting to see in patch 5.3 to see events such as Battlefield: Barrens, Secrets of Ragefire scenario, the digging up of the Vale of Eternal Blossoms and Dark Heart of Pandaria scenario. 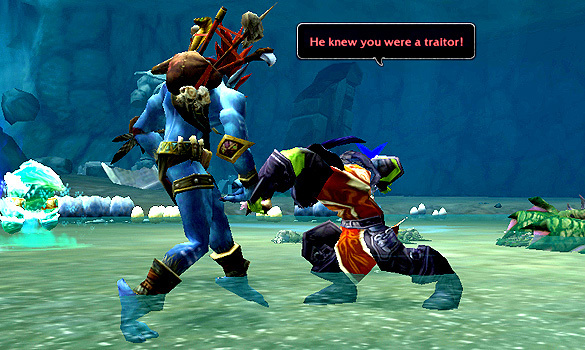 We could have assumed that the Horde and Alliance would continue to come to blows, as that’s what we’ve essentially been doing since the Wrathgate event back in the Lich King expansion, but for the Darkspear to go in all out rebellion against Garrosh and end up causing civil war – that might have been an interesting surprise to see. Had we not known that Garrosh was the end boss of Mists, would we be even more up in arms right now that there’s such a long span of no content? Could it have given Blizzard a bit of opportunity to have created an extra filler raid (as much as we adore them) to explore races like the Yaungol in more detail, or chase off some more Zandalar trolls after the defeat of Lei Shen? 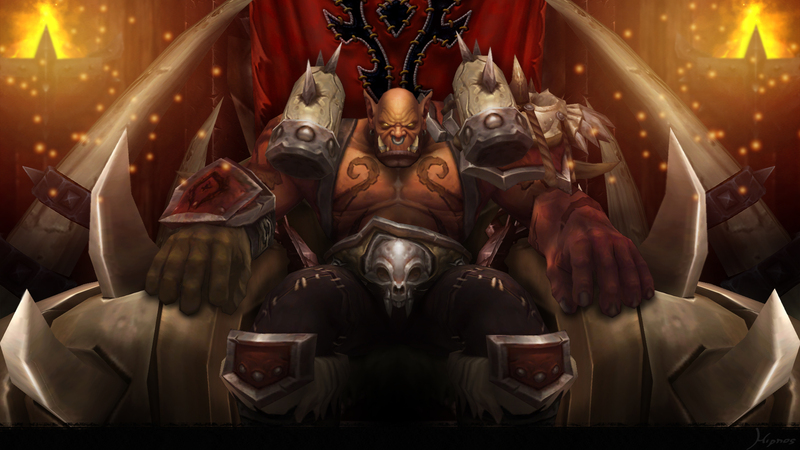 Knowing that he was the final boss just left me feeling throughout the entire expansion “So what is Garrosh going to do that gives both factions the desire to kill him, not just the Alliance?” Segregating Orcs from the rest of the Horde in Cataclysm wasn’t enough. Trusting Magatha Grimtotem, silent enemy of Cairne Bloodhoof, to enchant Gorehowl in his mak’gora against Cairne and ending up killing him wasn’t enough. Going against honourable combat – the very foundation of morals most of the Horde follow – in the destruction of Theramore wasn’t enough. Attempting to assassinate Vol’jin in 5.1 wasn’t enough. Killing off anyone and blowing up Razor Hill’s inn because people spoke against him as outlined in the Shadows of the Horde novel wasn’t enough. All of these slowly built up into the rebellion in 5.3, but the real kick that got Alliance, Horde AND Pandaria’s participation against the Warchief was the destruction of the Vale and consumption of an Old God’s heart. Ever since BlizzCon 2011 I’ve been following the story on both factions, just trying to piece together the different clues that ultimately led up to the big picture we all knew to expect in the Siege of Orgrimmar. This is why I’m so far looking forward to Warlords of Draenor. We don’t know who the end boss is: as far as the warlords themselves go, we’re already killing off Ner’zhul, Blackhand and Kargath Bladefist in the first few months of the expansion. Durotan is for the moment allied with the playable Horde. That leaves Kilrogg Deadeye (though I believe I read somewhere that we’ll be confronting him in the Bonetown scenario), Grommash Hellscream and Gul’dan. This leaves plenty of speculation as to where the expansion will take us, and what encounters we might end up fighting against. I’d imagine that with 5 of the 7 featured Orcish Warlords being taken care of in the first patch, that we’ll either see Grommash as the fourth boss in the final raid or that we’ll be taking care of the rest of them fairly quickly, with a side-raid concerning the Spires of Arak and then dealing with whatever Gul’dan has gotten us into. Weekly Roundup: Uplay? I wish I could. 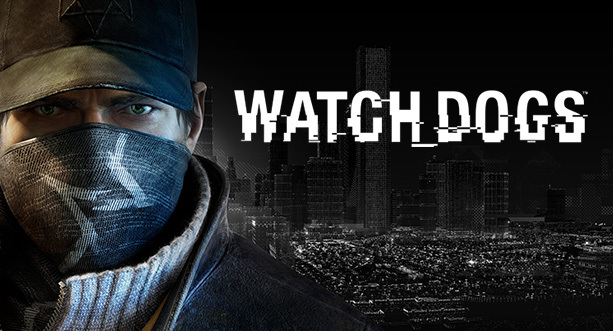 Admittedly, this isn’t exactly a roundup of the last week (it was pretty bland anyway), but I thought with the Tuesday release of Ubisoft’s WATCH_DOGS that I would spend the weekly roundup on my initial thoughts on the game. With an early shift at work, I pre-loaded the game in the morning, got home from work completely shattered and went to have a nap when I got in anyway, then after a bite to eat in the evening decided to load it up to have a quick gander to write something up tomorrow. Unfortunately, Uplay strikes yet again with problems for me to actually connect. I’ve had problems with the Uplay client in the past with Assassin’s Creed IV, Settlers 7, Anno 2070 and Far Cry 3, so when I realised that WATCH_DOGS was through Ubisoft I had my initial worries that a hyped up game such as itself would have troubles. With a pushed-back release, I thought that they’d be able to iron out any wrinkles and be able to prepare their servers for what would have been an avalanche of people attempting to access the Ubisoft servers to try and play their games that always insist on being always online. I don’t mind the concept of always having to be online, I’d be a hypocrite if I said I was against it with how much I enjoy Blizzard games, but don’t let authentication servers go awry when you’ve spent so much time and money in promoting the game in the first place. All it ends up doing is placing your game and your company in a bad light, because suddenly you’ve got hundreds of thousands of people who can’t access your game. I’d hate to be one of the people in charge of their support twitter page right now anyway, let alone their other support lines of communication – though brownie points for being active and providing some kind of updates to a solution that I can understand has no ETA. So I thought I’d hit up some reviews on the game from those that could actually play. I’ve tried to avoid YouTube playthroughs as I didn’t want too much of the game spoiled (despite however much of the promotional material I’ve seen over the past year or so), but gaming critics seem to be overall impressed. Although there have been concerns as to whether or not it would just be a Grand Theft Auto rehash, but the stealthy open-world sandbox game appears to have held its own with the critics themselves. Checking out consumer gamer reviews on Steam on the other hand and there appears to be a constant barrage of reviews of the game not working properly on PC systems with AMD components, with constant crashes after 5 minutes of gameplay, cutscenes with just audio, freezes, high-end rigs with dismally low fps, and many other problems. The Balance specialisation has been removed from Druids. A new specialisation, Moonk, has been added for Druids, focusing on spell casting to deal damage. The Moonk specialisation has been renamed Balance to avoid confusion. Especially as that’s what they’ve done with some of the healing spells… The changes that are being proposed to us completely changes how Balance Druids will play from 6.0 onwards. 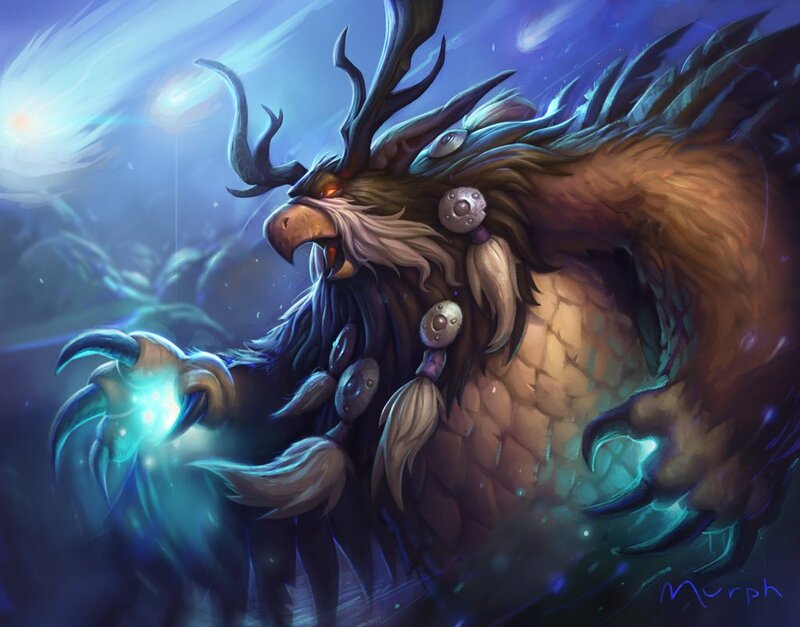 I’m still trying to get my own head around it, but this is easily the biggest progression of the eclipse energy and overall feel of the Moonkin role we’ve seen to date since the start of Wrath. Balance Energy is a bar that automatically cycles back and forth between Lunar and Solar sides, like night and day. The closer to one end that the bar is, the more damage that side’s spells do. Moonfire: Lunar periodic damage spell. While closer to Solar, this button is replaced with Sunfire, a Solar periodic damage spell. Starsurge: Direct damage spell that benefits from whichever side is stronger. Has up to 3 charges, and buffs the damage of the next few Wrath or Starfire. Cast when able to follow up with a few strong Wrath or Starfire. That’s the basics of the new Moonkin rotation. There’s room for improvement beyond that, learning to optimally maintain both periodic damage effects with the strongest Eclipse effect, timing Starsurges to optimize the benefit of its buff, make use of Starfall and Hurricane for area damage, and taking advantage of the strengths of each side (such as Moonfire and Sunfire having significant differences now). Here are the full details of the changes. Balance Energy system has been redesigned. Balance Energy is a bar that cycles back and forth between Lunar and Solar sides, like night and day, with a 30 second cycle time (from Lunar to Solar and back to Lunar). Mastery: Total Eclipse now increases the maximum damage bonus of Eclipse by 12% (increasing with Mastery). Starfire now has a 3 second cast time (up from 2.7 seconds). Moonfire now has a 16 second base duration (up from 14 seconds), but is no longer extended by Starfire and Starsurge critical strikes. Sunfire now has a 16 second duration (up from 14 seconds), but is no longer extended by Wrath and Starsurge critical strikes. Additionally, Sunfire is no longer its own spell. Sunfire replaces Moonfire on the action bar whenever Balance Energy is on the Solar side. Enemies may still suffer from both Moonfire and Sunfire’s periodic damage components simultaneously. Lunar Shower has been redesigned and renamed Astral Showers. Astral Showers calls upon greater Lunar and Solar energy to permanently empower the Druid’s Moonfire and Sunfire spells. Moonfire initial damage is increased by 100%, and the duration of its periodic damage effect is increased by 100%. Sunfire initial damage is increased by 100%, and its periodic damage effect is now applied to all enemies within 5 yards of the target. Starsurge now has 3 charges and a 30 second recharge time (instead of a 15 second cooldown). Starsurge now also grants Lunar or Solar Empowerment. Lunar Empowerment causes the next 2 Starfire to deal 30% more damage. Solar Empowerment causes the next 3 Wrath to deal 30% more damage. 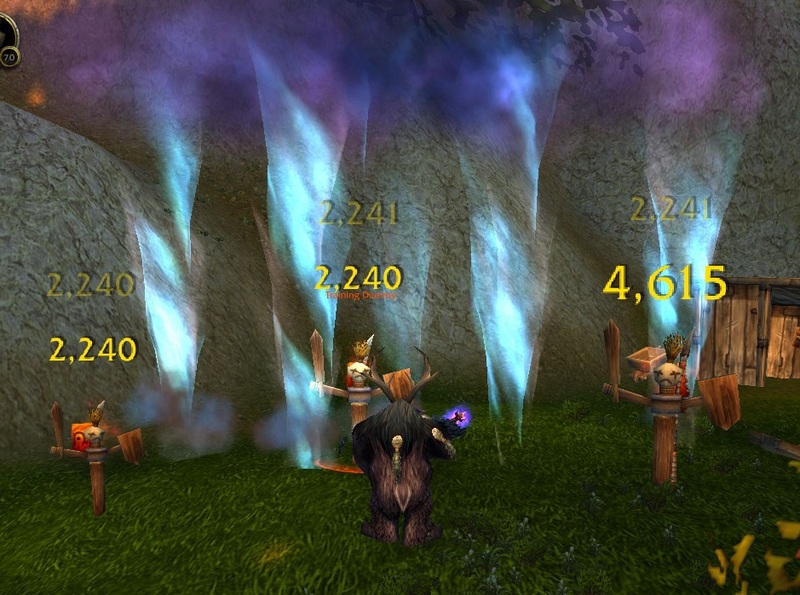 Starfall now shares charges with Starsurge, and has no cooldown of its own. It also now hits all nearby enemies (up from 2 nearby enemies). Shooting Stars now adds 1 full charge of Starsurge and Starfall when it triggers, and now has a 2.5% chance to trigger on Moonfire and Sunfire periodic damage. This chance is doubled on critical strikes. Hurricane range has been increased to 35 yards (up from 30 yards). Astral Storm has been removed. Wild Mushroom (Balance) now begins snaring enemies immediately when summoned, lasts 20 seconds, and can no longer be detonated to deal damage. Wild Mushroom: Detonate has been removed. Celestial Alignment has been redesigned. Celestial Alignment causes the Druid to enter Celestial Alignment, a state where Balance Energy cycle is paused, and all Lunar and Solar spells benefit from the maximum Eclipse bonus. Lasts 15 seconds with a 3 minute cooldown. Astral Communion now increases the rate that Balance Energy cycles by 300% while channeled. Insect Swarm has been redesigned and renamed Stellar Flare. Stellar Flare is a powerful spell benefitting from both Lunar and Solar Eclipse, dealing the most damage when they are equal. Burns the target for Spellstorm damage and cause additional damage over 15 seconds. The ability has a cast time of 1.5 seconds. Soul of the Forest (Balance) has been redesigned. Soul of the Forest (Balance) now increases the damage bonus from Lunar and Solar Empowerment by an additional 30%. Equinox has been replaced with a new talent, Balance of Power. Balance of Power causes Wrath to extend the duration of Sunfire by 4 seconds and Starfire to extend the duration of Moonfire by 6 seconds. Sunfall has been replaced with a new talent, Euphoria. 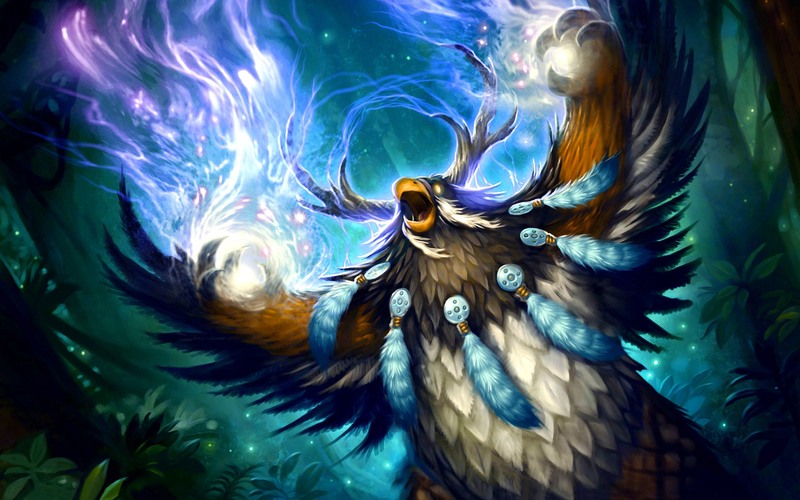 Euphoria grants the Druid a deeper connection to the stars, causing Balance Energy to cycle 50% faster. Additionally, Starsurge also grants 20% Haste for 6 seconds. Several Glyphs and Draenor Perks will be redesigned in a future build, and so are currently TBD. So the main change for us seems to be that our pendulum of power in our eclipse mechanic has changed to be something that cycles through time-based (every 30 seconds, 15 if talented) as opposed to based on how many Wraths, Starfires or Starsurges we cast. Out of combat, it will continue to cycle until we’re at the middle of our eclipse bar, so there’s no more starting fights at a particular spot on the eclipse line for pre-pull, but at least we’ll have 15% Nature/Arcane damage buff, as opposed to 27%/3%. I do wonder what the end numbers will be like for the DPET (Damage per Execution Time) for Wrath and Starfire, as we may see either one still being used past the midpoint, say at 10%/20% (arcane/nature) eclipse we still use Starfire, purely because the DPET for Starfire is that much stronger than Wrath’s, for example. 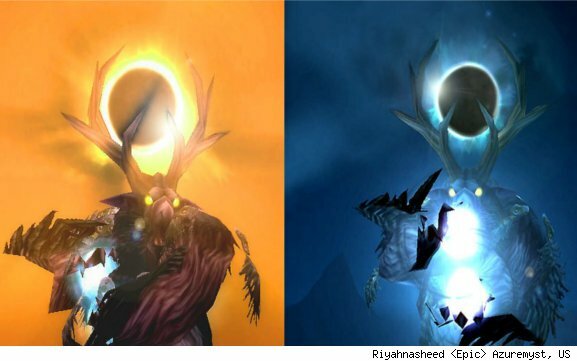 It would go against Blizzard’s plans to try and not get addons like WeakAuras to tell us what to cast when, but with this design unless they balance it well enough not just against each other in the eclipse bar, but to also balance Moonkins against other classes we’re going to be seeing the top Druids depend on addons much like how many people depended on addons like AffDots in MoP for max numbers. Besides, the closer we are to an edge, the more damage we do with that school of magic, so with procs and that, we will likely want the buildup of power too, instead of just the max power at the start of the fight. Plus, at first glance this seems to help us a ton at lower gear levels – hopefully we shouldn’t be deadweights in challenge modes or proving grounds because we can’t cycle our eclipses fast enough. The next huge change is to Starsurge itself… One that I’m sad to see as I’ve grown accustomed to my machine gun in SoO, but overall probably for the best for Moonks in the long run. At the moment, we’ve had to have ourselves nerfed each tier to avoid just spamming Starsurge all the time which ended up getting our chicken nuggets chopped off at low gear levels. Now, our Starsurge has 3 maximum charges that recharge over 30 seconds… That’s one per eclipse cycle! Shooting Stars still exists, but the proc chance has been nerfed down to 5% chance on Moonfire/Sunfire crits, but also a 2.5% chance on non-crits. It now adds a charge of Starsurge to be used, though I’m not sure if it still turns it instant cast. When you cast it, it will also increase the damage of the next 2 Starfires or next 3 Wraths (depending on what eclipse you’re in) by 30%. In addition to Starsurge’s charges, we also see Starfall have charges too – the kicker is that these charges are linked with Starsurge. Now we’ll be casting Starfall in AoE situations (likely where all stars will be used, so on 2+ targets AT LEAST, depending on DPET and theorycrafting when the numbers are there), and likely only in Lunar as well. In terms of AoE, we’ve lost Astral Storm, and the AoE damage on mushrooms have now gone as well – including what we had in previous builds where Hurricane damage increased the power of shrooms too. Instead, our Hurricane is our main AoE damage source for Solar, as well as the new Sunfire. When in Solar eclipse, Moonfire turns into Sunfire, and the new Astral Showers (replacing Lunar Shower) allows the Sunfire DOT to affect all nearby targets within 5yds. Spam it on everyone and fill in the gaps with Hurricane until you hit Lunar for Starfall, and we could actually have competent AoE once more. Celestial Alignment gets updated too with a minor change: It still does the same as it does now in allowing you to do full damage for 15 seconds on a 3min cooldown, again that full damage being affected by how much mastery you’ve got. The minor tweak however is that you don’t get reset to 0 energy afterwards – it freezes the spot you’re in and you can continue where you left off afterwards. I can imagine the best DPS benefit from this is to cast it a few seconds before max Lunar, so you get to benefit from strong Lunar damage afterwards, especially with Incarnation. Though with the increase in cast time on Starfire and the loss of Nature’s Grace it all depends on the DPET. All of our level 100 talents have had overhauls as a result of our fundamental spec changes too – I wouldn’t be surprised to see more changes in our tier 4 talents outside of Soul of the Forest. 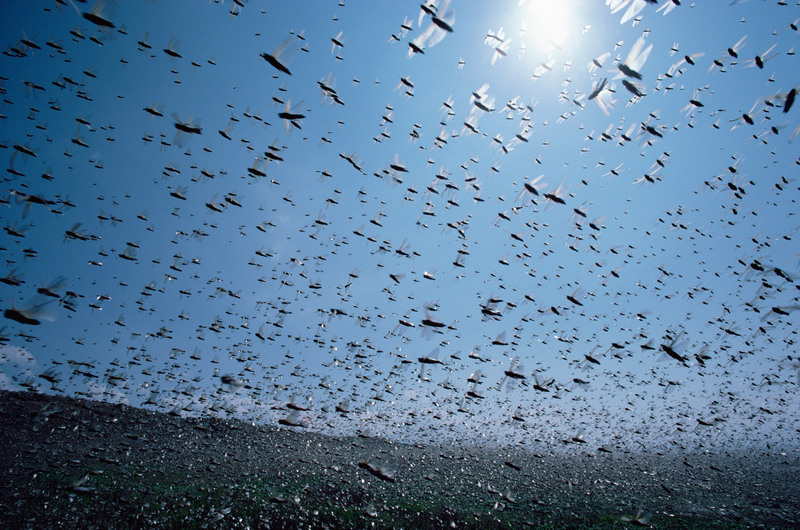 But for the 100’s, we see Insect Swarm turn into Stellar Flare (I’m hoping for the name to be changed, not only do we not need another SF acronym to confuse with Starfall and Starfire, it sounds terrible). The main reasons for it being changed seems to be to include the spellstorm component to stop it being used solely in nature eclipse, and we also lose the eclipse energy regen from IS too, as we’re now on the time-based pendulum. Equinox had to be replaced, of course, as the old version of it meant that we stayed in eclipse until we procced a new one. Admittedly, it would be an interesting talent to be able to stay at max Arcane damage for 15secs, then stay at max Nature damage for 15secs, but alongside the overall changes to eclipse, I think it’s best that a talent modifying it in such a way is best left until later expansions, perhaps. Balance of Power that replaces it seems kind of bland, but it’s the passive effect for those not wanting extra buttons, and with Moonfire and Sunfire no longer being increased in duration by Wrath/Starfire crits, it seems a little odd to have this talent in at 100. I haven’t heard Celestalon mention anything about DOT snapshotting still affecting eclipses (we were the exception where it still mattered in 6.0), so it’ll be interesting to take this talent for those fights with extended AoE period longer than 16secs to tab up multiple Sunfires then maintain them with Wraths. With having no non-eclipse state, Euphoria has been removed, as has been mentioned in the notes above, and a new Euphoria makes an appearance at level 100 in our talents. The same feel for the spell has been kept, in increasing our eclipse cycles, but this seems very powerful to increase it by 100%. It means we get 15 second full eclipse cycles – 7.5 seconds from 100 solar to 100 lunar. With Starfire on a base 3sec cast time, I can see why Starsurge gives us 20% haste on cast: Starsurge at near-max solar means that we might get a Starfire at mid-eclipse, max-lunar and mid-eclipse again. I’m pretty happy that Soul of the Forest keeps itself as a passive ability, but essentially turning it into a mastery bucket seems like a boring way to change it. I wouldn’t mind seeing another update to it, and I’m almost expecting one as it seems like a bandaid fix to the old talent being nerfed from the new eclipse changes. Overall, I’m quite happy with the changes presented to us. Blizzard have said that Moonkins have a steep starting curve that flattens out fairly quickly, and they hope that these changes will bring more people into the role for the first time. While I may not entirely agree with that statement, I don’t have the stats Blizzard does and that discussion is neither here nor there. The new changes looks to be setting Moonkins of all skill levels back to stage 1 again, and of course the higher caliber Druids such as Lappe, Zoomkins or Hotted are still going to pull ahead of the race (assuming they stick with Balance in 6.0), but hopefully the changes might bring more Druids into the caster role, especially without having to worry about that annoying Nature’s Grace mechanic any more. Are we going to see Moonkins at the top of DPS meters in the next expansion? Probably not, but we’ll certainly be strong contenders on certain fights – and it seems with changes to other classes we might actually be one of the more mobile casters, despite losing instant Starsurge casts. We won’t beat Hunters for mobility, but on Patchwerk fights Blizz are designing them to be worse off anyway. All I can really round this post out with is that I hope that beta opens up soon and that I can grab myself an invite to test these new changes out. While I won’t be a Mythic progression raider in Warlords, it’s still exciting times!